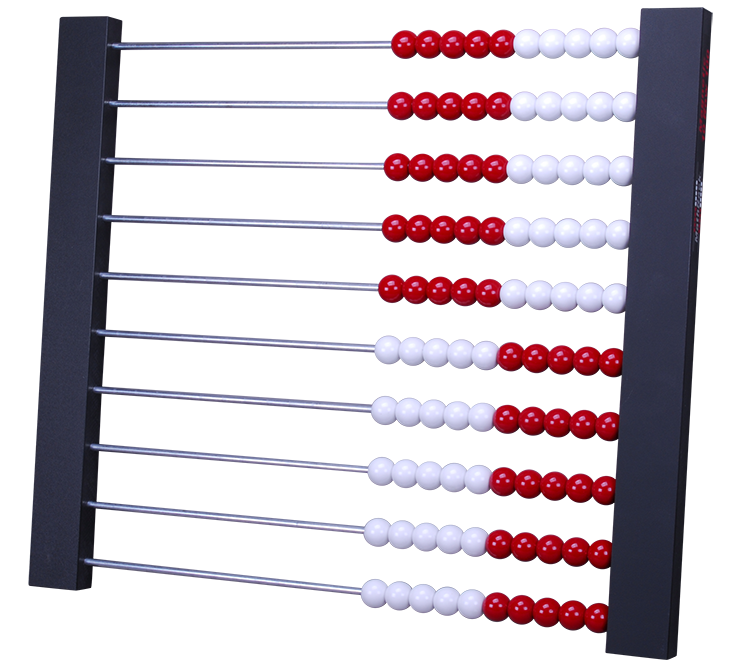 This classroom demonstration product features 10 fixed (non-removable) rows of 10 large red and white beads (5 red / 5 white), is magnetic, lightweight, durable, portable and comes fully assembled. The MathRack Demo 10 Row 100 provides young mathematicians many opportunities to subitize larger quantities. It is also a wonderful model for magnitude, addition and subtraction of double digit numbers, and ‘groups of’ for multiplication and division.